What are you doing this weekend? You’re coming to the Dartmouth Comic Arts Festival! DCAF is a fantastic, fun comic annual event put on by Strange Adventures here in Dartmouth. It’s easy to find at the Alderney Landing on the waterfront. It’s easy to get to via bus or ferry – the ferry will literally drop you off at the event – and it’s FREE! I will be there with Artist Edition Starcrossed books, prints and sketches. You can find me at Table 28. 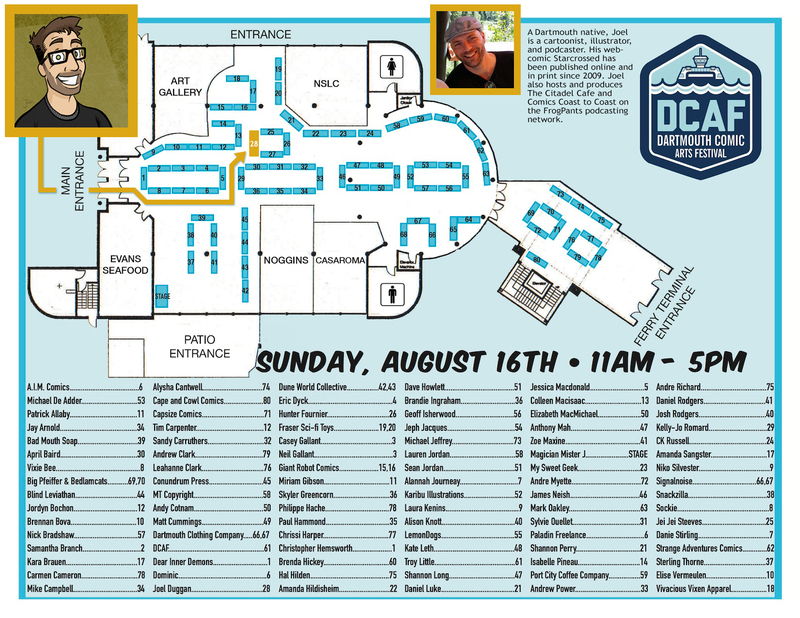 There are a ton of fantastic comic artists and illustrators and local comic shops all attending. Bring your friends, bring your kids and bring your inner geek!